Visiting all places in contemporary Greece that relate to Hades (God of the Greek Underworld) can be a challenging thing. Such places are scattered all over Greece. One may think that such location could be set in some weird looking, dry places in Greece, where mist and “darkness”, and fear exists. You know something like “Mordor” and such from the Lord of the Rings trilogy. Yet, that couldn’t be more wrong. In fact underworld locations, or entrances to Hades region in Greece are located in very beautiful locations. Most of them (if not all) are great for vacations and outdoor activities. In such places nature is wonderful and there are usually rivers and forests and all. Let’s take things from the beginning, so to see the beauty behind Ancient Greece Mythology. Despite Hades being the God of Underworld, many of the things well known for him relate to a “forced love” story. Many of you have heard of the Hades and Persephone story and how Hades fell in love and took her to his region. You may have also heard about her mother Demetra and how seasons changed depending on when Persephone was allowed to visit her in the normal world. However Hades is not related to the modern concept of Paradise but to that of Hell. The analogy for Paradise in ancient Greece were the Elysium Plains. Different locations of entrances to Hades region were not confronted with sorrow. History tells us that such places were related to spiritual purification too (and in some cases with possible ancient hoaxes). In some cases, Hades is also called Pluto (God of Wealth). Anyway, Hades is related to departure from this life and “living” in a different realm that was not so great to “exist”. The very concept of Hades excited the minds of many famous painters. Maybe the most popular all over the world. Not just of the temple but it relates to the famous Acheron river; the one souls traveled on a boat to get into Hades. It is located in the region of Thesprotia, just 30 minutes by car from Preveza city. The additional naming of “Nekyomanteio” is also met in history as “Nekyos” is another term for a deceased person. There was an oracle there and people were going so to receive advisory, similar to the one of Delphi dedicated to Apollo, but in its “goth” version. The temple consists of 2 levels. The underground one is related to the mystical practices and is famous for its acoustics. In fact, in that room, absolute silence rules with extremely low resonance levels. When you go give it a try. Interesting, thrilling and disturbing at the same time. In a few minutes from there you can walk next to Acherontas river. Now, that is another fantastic place. The river is very beautiful, with thick plantation along its route. There are different places to set for camping and to eat. During August you can actually walk in the river towards its springs. The river is really really cold even in hot summer time despite being shallow during that time. Many can’t even walk through from one bank to the other. Kids love it though. Along with Nekromanteio it can easily be a day or half day trip. This is one of the most beautiful canyons in Peloponnese, Greece. The passage was believed to be one of the portals to Hades, the Ancient Greek underworld. It is located in Elis region, in Kyparissia. The river goes through steep ravines, lush gorges & dark caves, while passing under stone bridges . 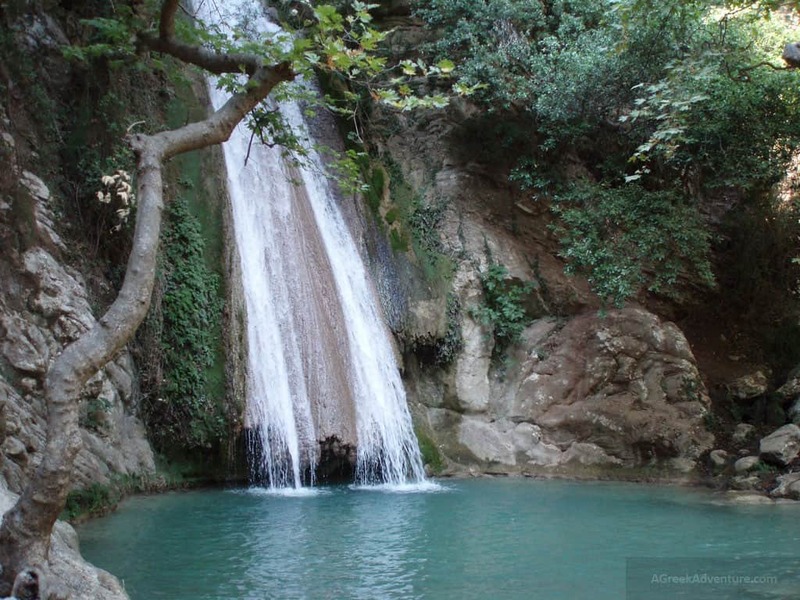 The famous waterfall is near the village of Platania. If you go to that area do allow more days for a day trip in the Nemouta waterfalls area. See here why. Ancient Olympia is near enough. There are many organized tours for crossing the canyon. Locals say that there are many mystical/unexplained things happening there that affect your mind and perception of time/space. You need to know that Neda is the only river that has a “female” name in Greece. The name comes from an Arcadian Nymph who was one of the nymphs that nursed Zeus. If you are in South Peloponnese then you are definitely having a good time there. Since you are there you can visit Cape Tainaron (sometimes you can find the same under the name: Cape Matapan). 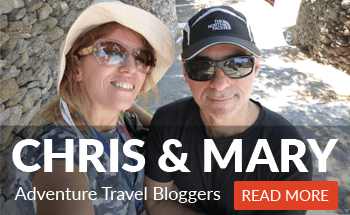 Ancient geographer Pausanias (considered as the first historian travel blogger for many) says that Cape Tainaron was the place where Hercules brought up Cerberus from Hades. The actual location is a remote one and can be part of your overall area touring. It takes around 20 minutes of hiking from the car parking spot, to be in the very southern endpoint of Greece (yes it is) but the feeling is that of grandeur. 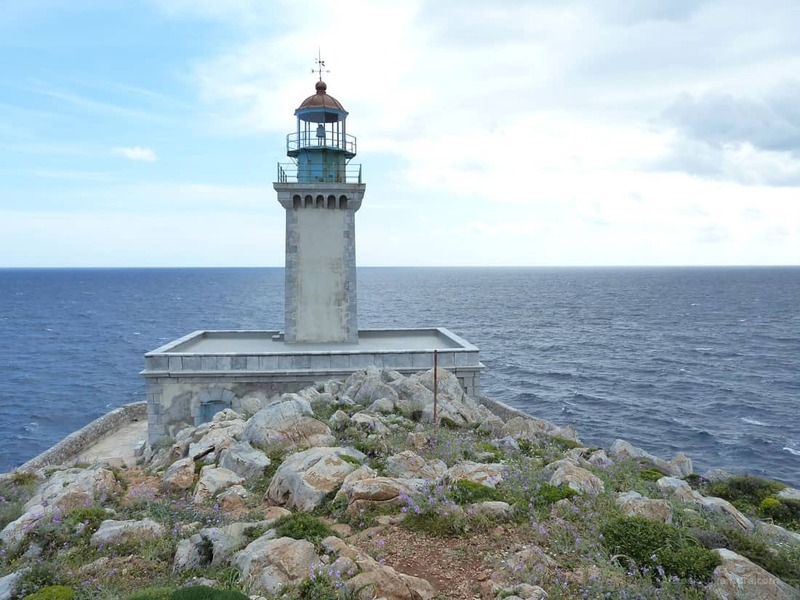 At the actual Cape Tainaron end point you will find… a lighthouse. At the same place of Tainaron exists the cave of Hades. Allegedly this was the entrance point for Orpheus who went into Hades realm to ask for the resurrection of Eurydice. Near the parking place there is small (yet largely ruined) temple of Poseidon which was worshiped there. You will see the signs. That temple is said to be the entrance to Hades. 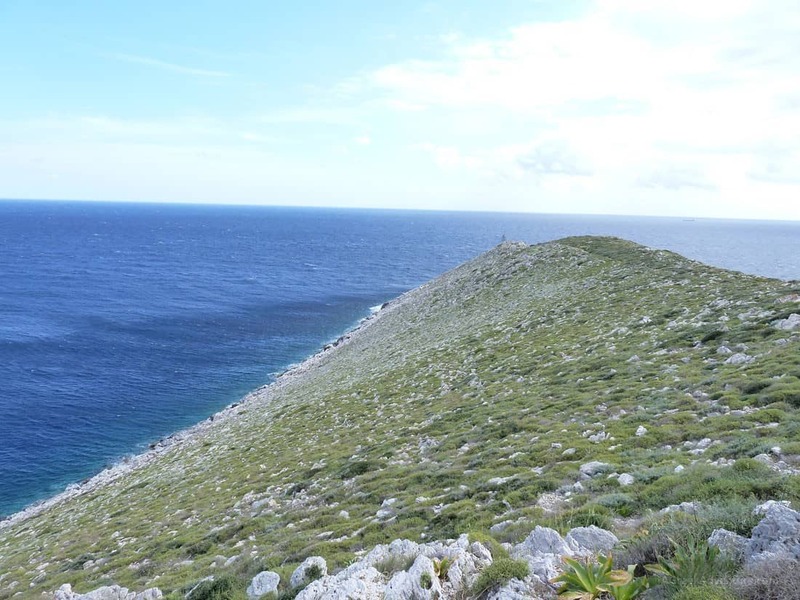 The overall area is that of Laconia and Mani, which is one of the most beautiful areas in Southern Peloponnese. There is a 2nd location in Mani that is labeled to be an entrance to Hades. The cave of Alepotrypa (means Fox Hole). 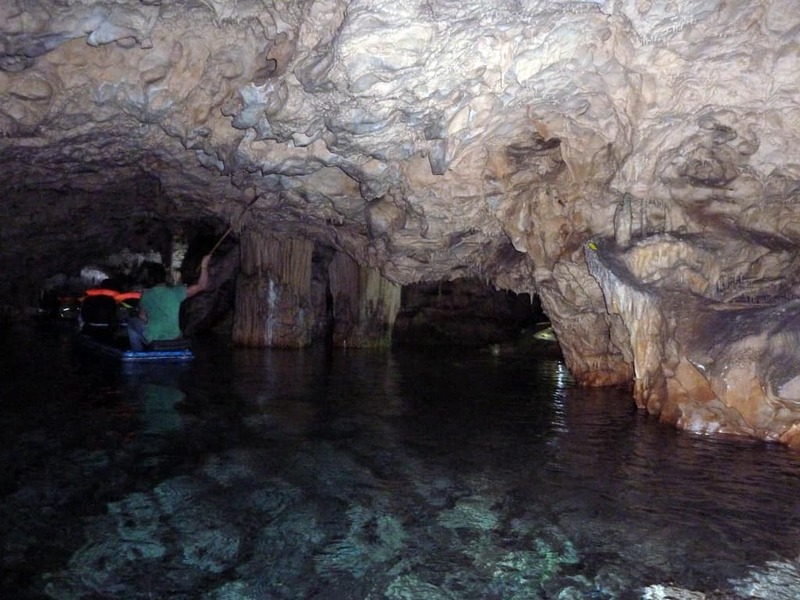 Alepotrypa is one of the caves of Diros Caves, a magnificent cavern with stalactites and stalagmites you must visit. 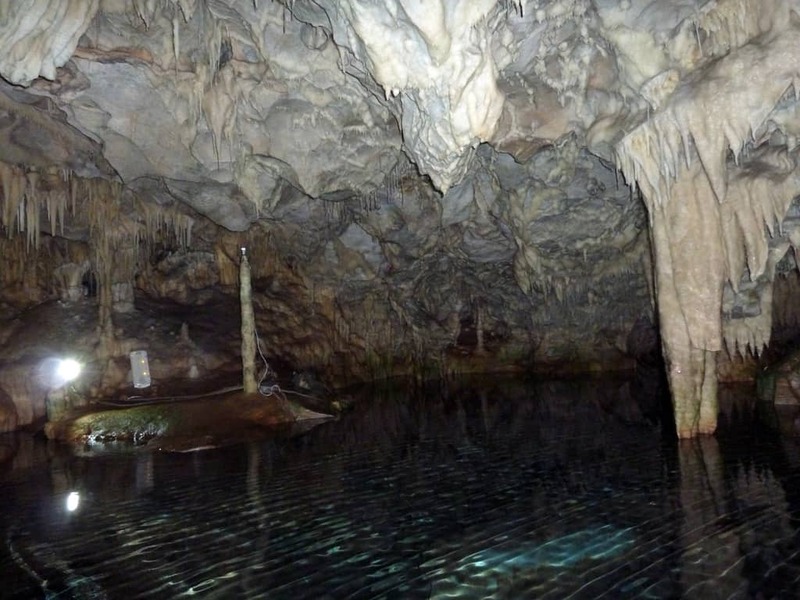 There are organized tours taking place inside Diros cave & the colors are beautiful. 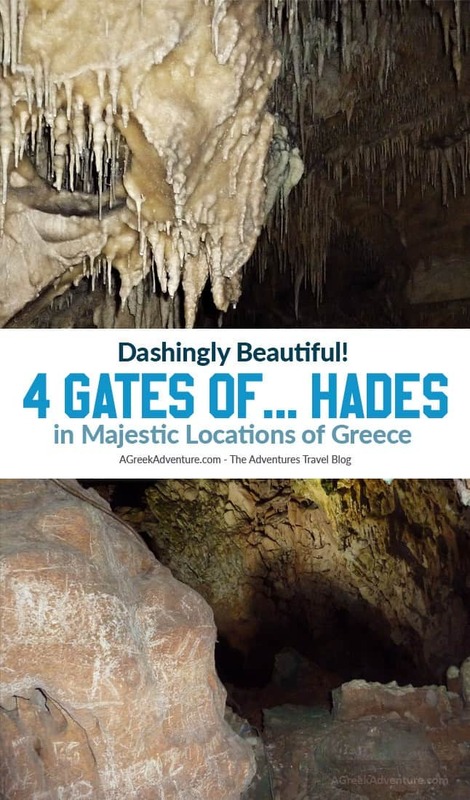 Well, now you know that despite having Hades as the God of Underworld, he is related to some pretty cool places in Greece. There of them are in Peloponnese and one in Western Greece. If you travel in the Peloponnese area then the Western Greece one can be a bit far for you. However, if you plan to go to Corfu by car you can make a detour and visit Acheron and the temple. Greece is so full of wonderful things to do, don’t you agree? Feel free to use these resources for flights, accommodation and travel insurance for your next trip.